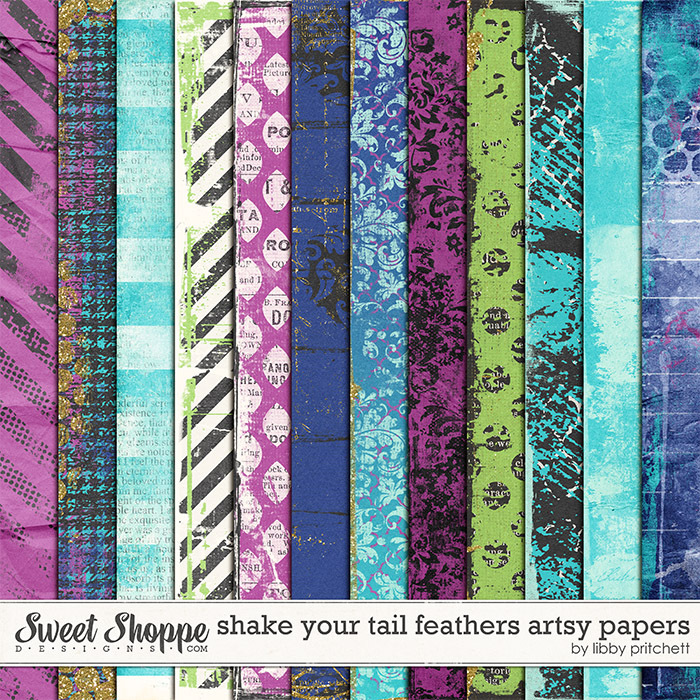 Shake Your Tail Feathers!This week, I'm doing something a little different! 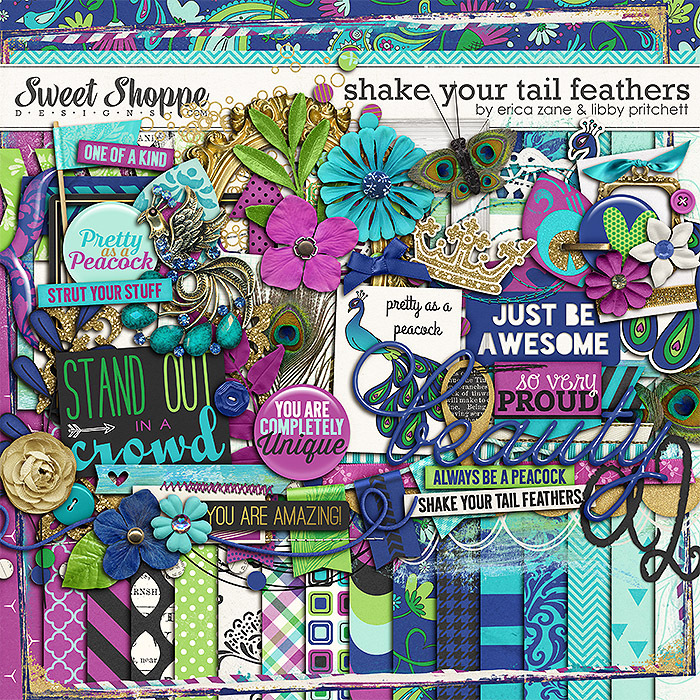 My Shake Your Tail Feathers kit with Erica Zane has always been one of my favorites. I just love the colors and the funky yet elegant feel of the kit. I've always wanted to make a set of artsy papers to go with it, and this week, I did it! The kit itself isn't a new release, but it does coordinate perfectly if you're one (like me) who likes things nice and matchy! Need some inspiration? 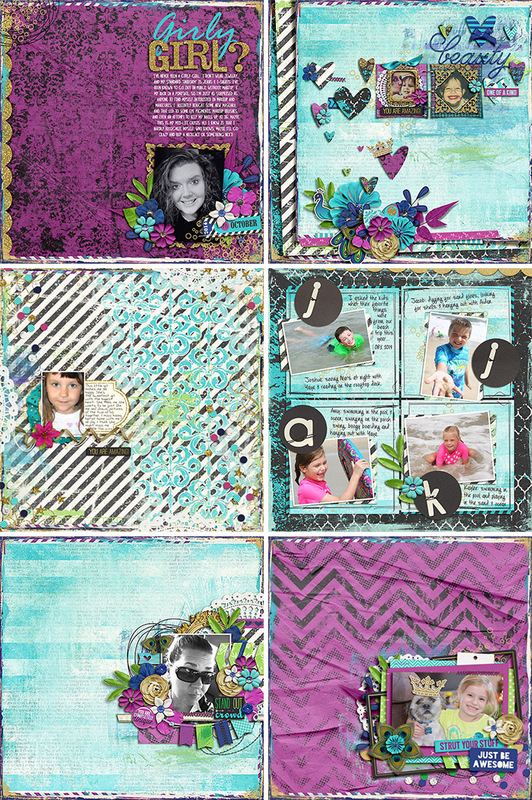 Check out these samples, and remember you can click through to theFacebook album for this kit to see these and more up close!